George Mendonsa, the subject of one of the most iconic photographs of the 20th century, died on February 17, 2019, according to reports from ABC News, the New York Times, and the BBC. He was 95. 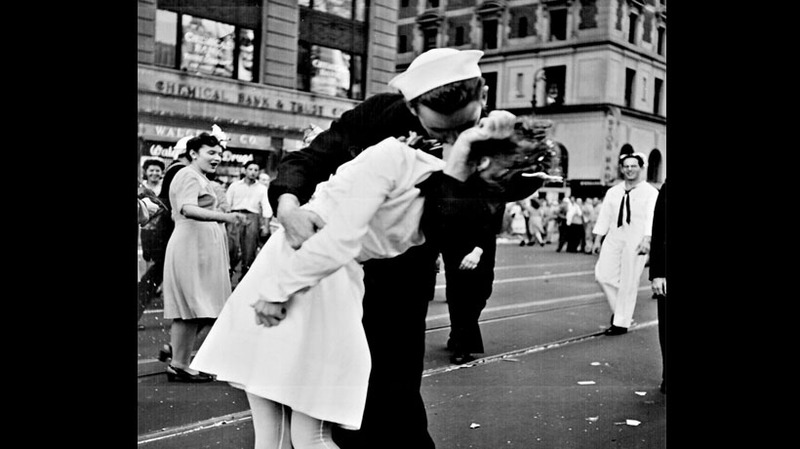 The photograph, called “V-J in Times Square,” shows a U.S. Navy sailor dipping a nurse in the famous New York City square and kissing her. Several other men have claimed to be the sailor, but facial recognition and interviews confirmed Mendonsa’s long-held claims that it was him, according to the 2012 book The Kissing Sailor: The Mystery Behind the Photo that Ended World War II. On V-J Day, the day Japan surrendered and signaled the end of World War II, people packed into Times Square to celebrate. Mendonsa told Famous Pictures Magazine that he and his future wife Rita joined the partying in the street. In his joy of the end of the war, he spotted a woman in a white nurse dress, a dental assistant named Greta Zimmer Friedman. “I had quite a few drinks that day and I considered her one of the troops,” he said, assuming that she had been a nurse overseas. There are actually two famous pictures of the kiss. Photographer Alfred Eisenstaedt snapped the iconic “V-J in Times Square,” which shows Mendonsa and Friedman in the center of the photograph and the iconic view of Times Square behind them. Another photograph, titled “Kissing the War Goodbye,” is by U.S. Navy photojournalist Victor Jorgensen, and it shows the couple from the knees up. The photograph also shows a woman turning her head to look at the kissing sailor and dropping her jaw. Mendonsa’s spontaneous moment with a stranger represented a moment of ecstasy and jubilation in American culture. Artist John Seward Johnson II created a series of sculptures called Unconditional Surrender depicting Mendonsa’s kiss, which have appeared in New York City, San Diego, and more. Mendonsa was living in an assisted living facility in his native state of Rhode Island, according to reporting from NBC News. He would have been 96 on Tuesday.